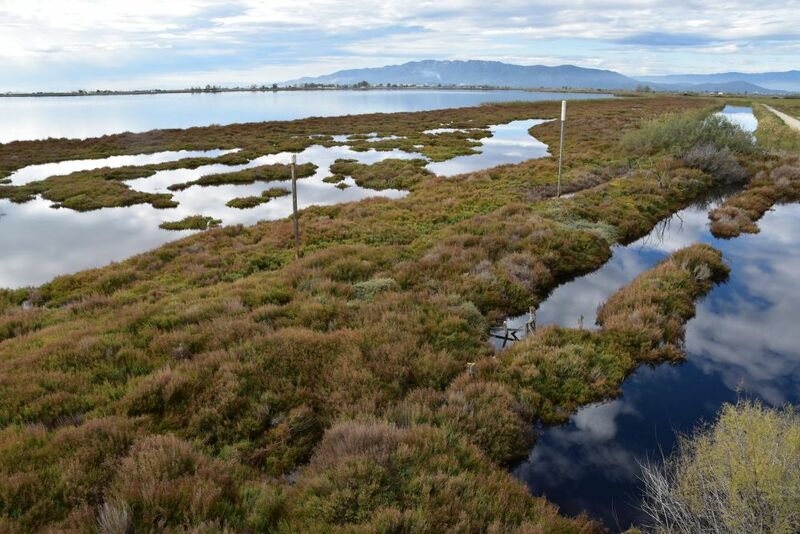 Again and again we have visited the Ebro Delta, when staying in Catalonia. We love it for its rice fields changing with the seasons and for its natural reserve lagoons holding a variety of birds. 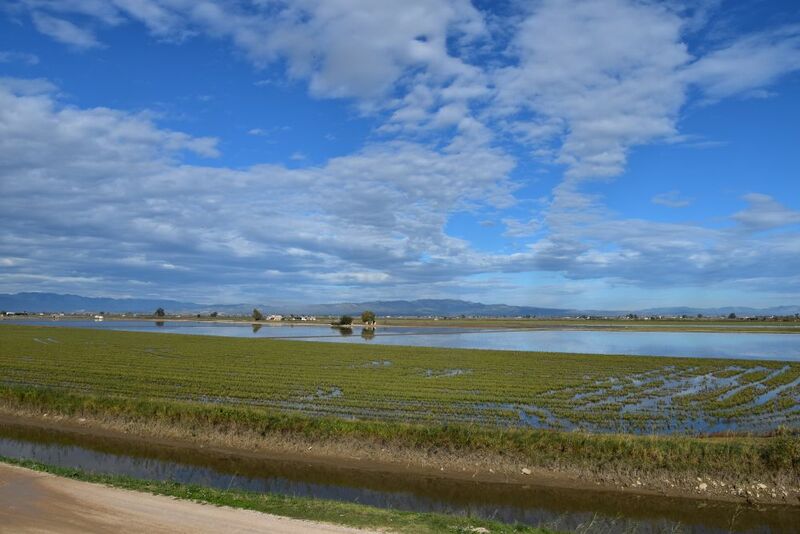 This is what the rice fields looked like in spring 2018, all fresh, brown, ready to be watered and to grow rice. Now it is November 2018. The rice has been harvested. 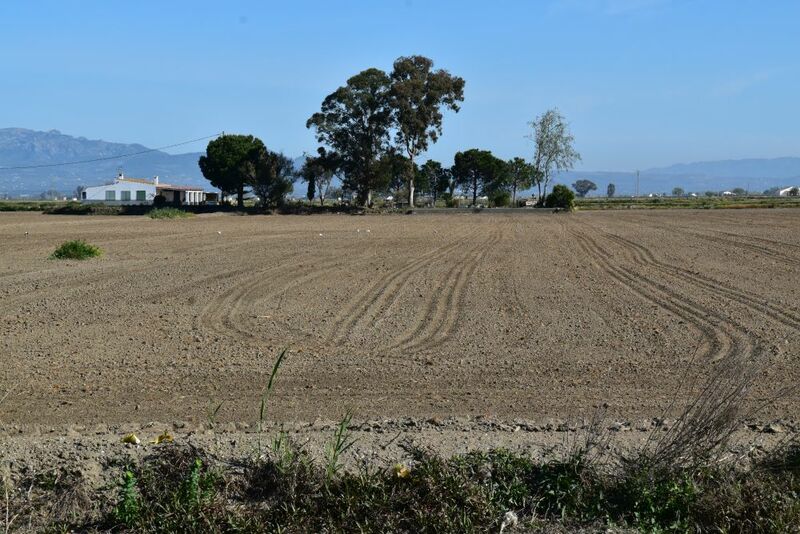 The green stubbles remain. The tractors are ploughing up the harvested rice fields. 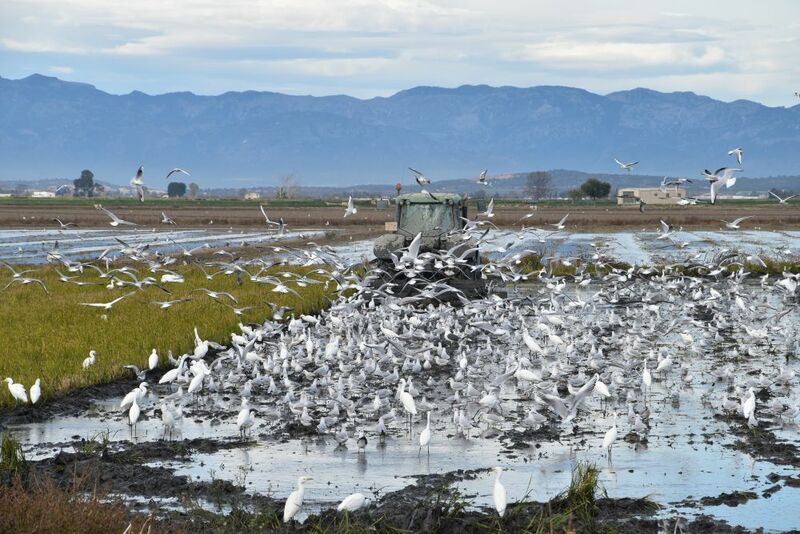 The birds are following the tractors – do they catch the worms that come out of the ground or do they find residual rice grains? Whatever they find, it must be worth it. The birds are not afraid of the tractor and neither is the tractor caring about them. As always, we buy rice and olive oil at the Fusta shop. 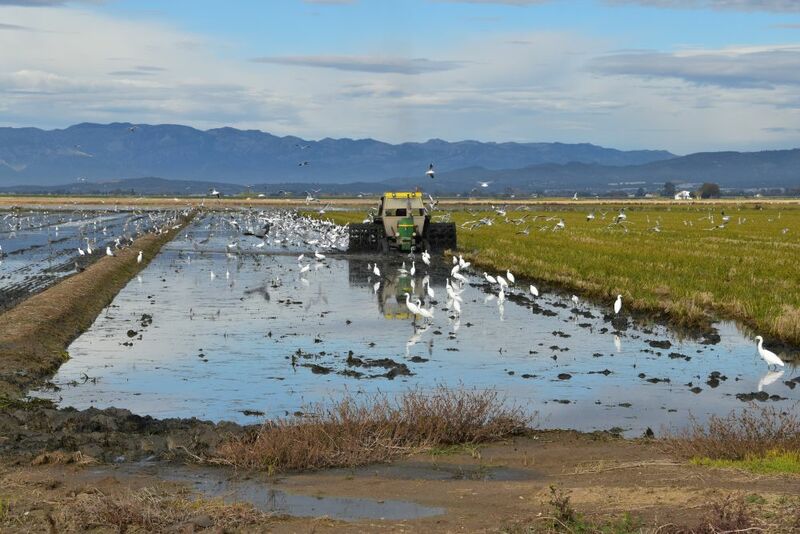 The rice produced by the Cooperative del Delta is called “Bomba”. In Swiss German we would say “är isch e Bombe”, which means, “the rice is super”. 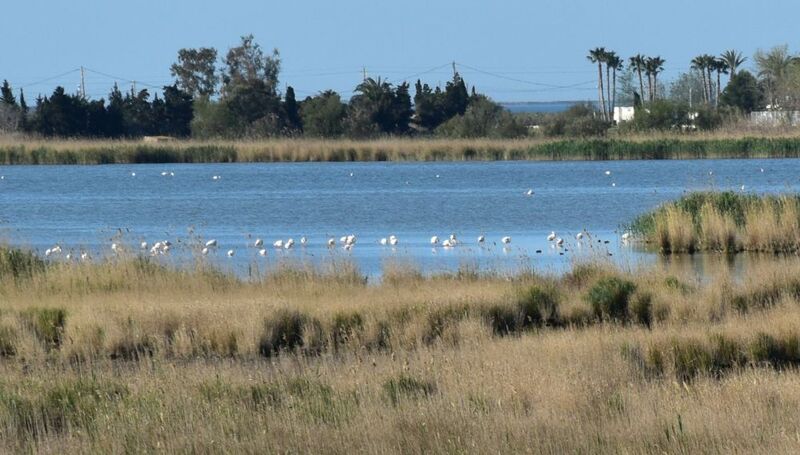 Near the Fusta, in the lagoon de l’Encanyissada, we saw many flamingos in spring. They were busy picking food from the lagoon (these two small spots are flamingos). Not one flamingo now, in autumn, in the Encanyissada lagoon. 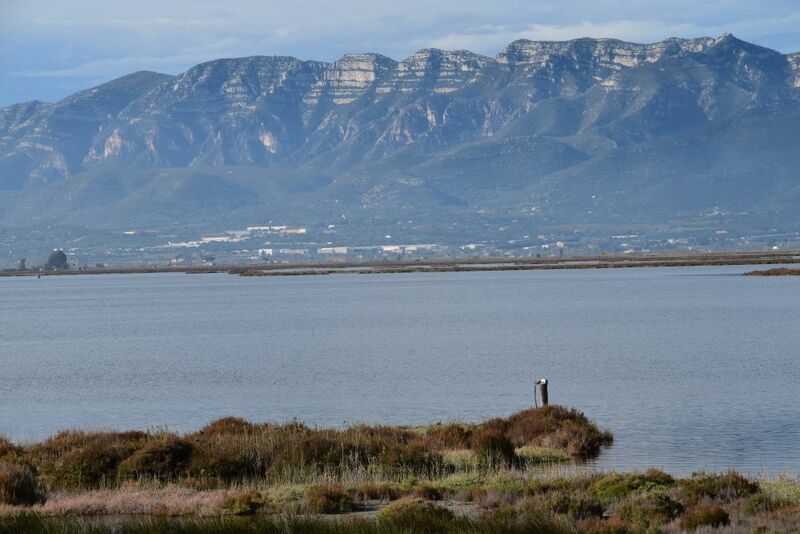 Instead, the layers of rock in the Montsià mountains behind the lagoon are very clear today. Hunters have taken out their boats to chase ducks. Now we understand, why we do not see one duck in this lagoon. 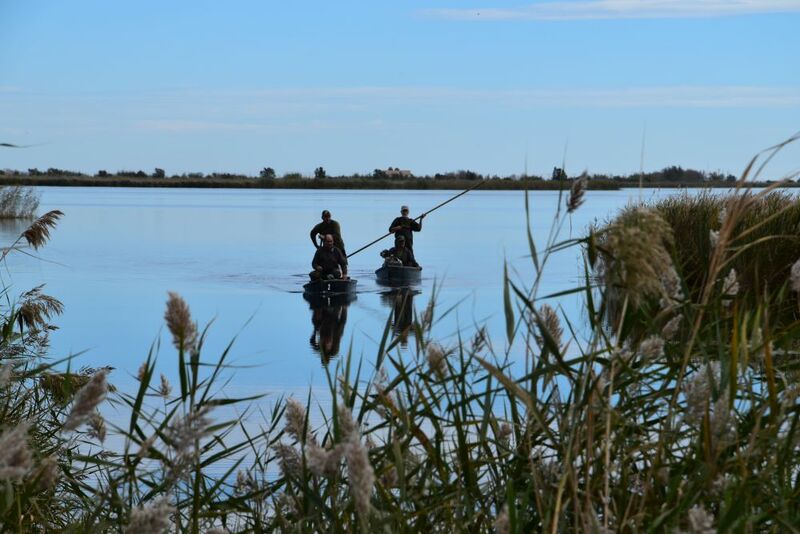 We meet a ranger that tells us that the ducks hide in the reed (because of the hunting going on) and that there is too much water in the lagoon for the flamingos. We should look for them at the lagoon of Tancada. We drive there. 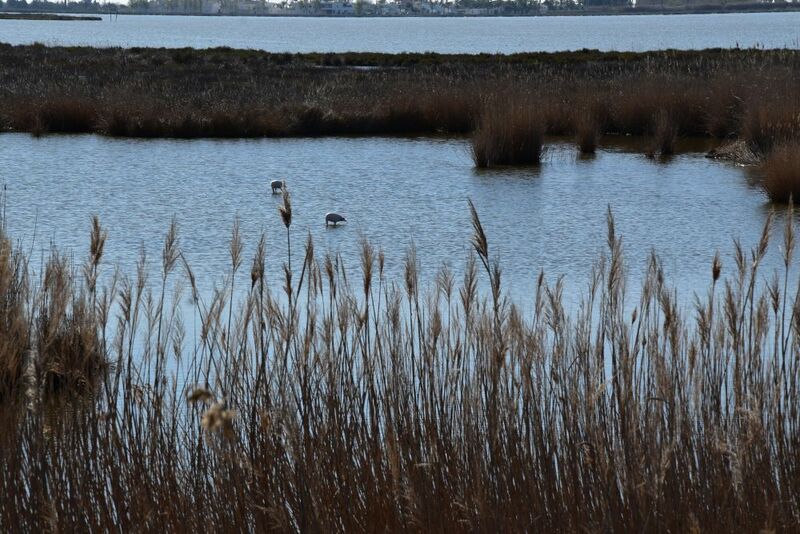 The Tancada lagoon is full of ducks. They have congregated where there are no hunters. No fotos of ducks – our cameras do not look like guns. 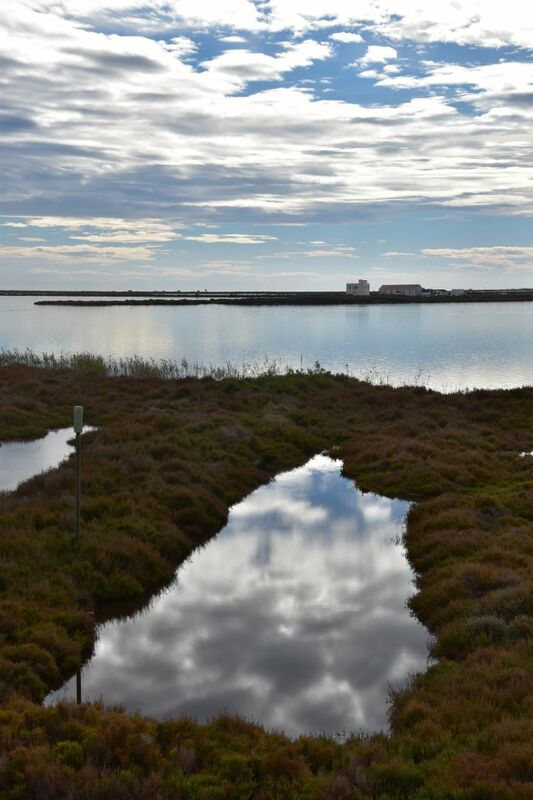 … and how the clouds reflect in the water. 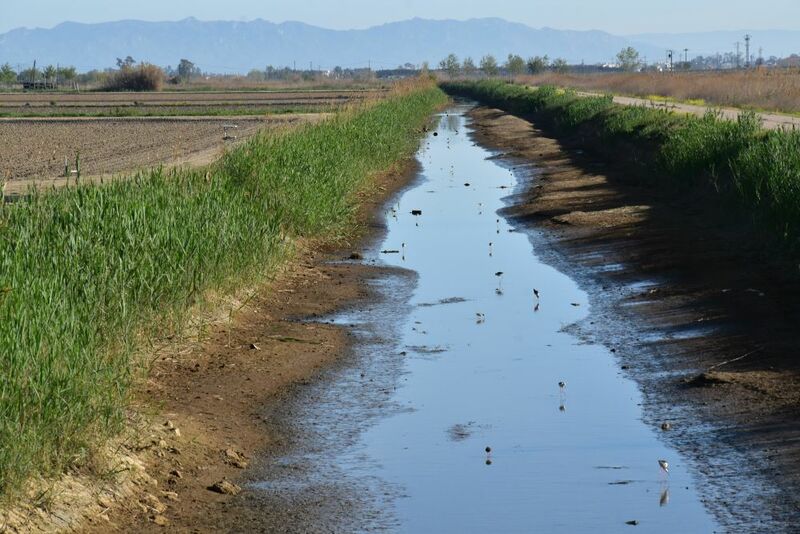 In spring, the water channels were full with black-winged stilts (Himantopus Himantopus or in German Stelzenläufer) with their long red legs. None of them around now, in autumn. 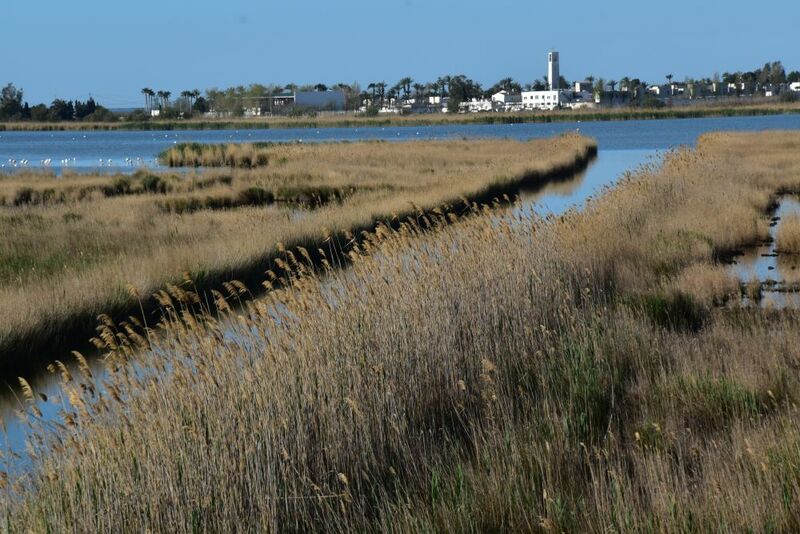 Poble Nou (literally “new village”) is located near the lagoon de l’Encanyissada, behind the reeds. We sometimes have lunch in one of the small bars at Poble Nou, but now it is twelve o’clock and far too early for lunch in Spain. We take our way back to Hospitalet and stop in Ametlla del Mar. At the port we have fresh sole fish which is a delicious close up of another excursion to the Ebro Delta. This entry was posted in Spain and tagged Ebro.